Strategies for saving feral cats are different from those for saving healthy and treatable pets. Ferals need community-based programs that humanely reduce their numbers while allowing them to live out their lives side-by-side with the rest of us. Trap, Neuter, and Return (TNR) is not only humane; it is the most effective way to reduce the number of homeless cats. Programs built around TNR reduce births, save lives, and support community efforts to compassionately care for cats. A feral cat program can have a dramatic impact on the number of cats entering a community's shelters, and on the number of cats euthanized. In San Diego, for example, cat impounds and euthanasias at county shelters decreased by over 40% after the Feral Cat Coalition began offering free spay/neuter clinics for ferals. And in San Francisco, cat impounds at the City shelter have declined 28% and cat euthanasias 73% thanks in large part to The SF/SPCA's feral cat assistance program. Organizations on even the smallest budget can start a feral cat program. It's as simple as starting a feral cat caregiver support group, offering free spay/neuter to just one caregiver or lending out a humane trap. Start small, and as your program gains support and interest, expand accordingly. Begin by listening to the community for advice and input. Then focus on the basics of a feral cat program: spay/neuter, volunteers, and humane traps. As your program grows, you can expand. Be sure to tell people about your accomplishments and ask for their support along the way. Feral cat caregivers are a dedicated "army of compassion," and can be one of a shelter's greatest resources in the community. They also tend to be private and protective of the cats they care for, and a feral cat assistance program should take this into consideration. Some programs, however, require caregivers to register, report colony locations, and conform to "minimum standards" of colony care. The problem with this is that it can push people underground, making it harder to help them and the cats they care for. Instead, build trust with local cat caregivers by respecting their privacy and seeking their input. Meet with caregivers, colony feeders, people with "backyard" cats, and other community members when planning your feral cat assistance program. You will gain valuable insight: are there any existing feral cat spay/neuter services? What other types of resources do people need? This information can help you target your program and outreach efforts more effectively. How many spay/neuters you subsidize or perform. The decline in cat impounds and euthanasias at your local shelters. How many volunteers you have. Any especially compelling situations you work on. These stories come in handy for press releases, newsletter articles, and "thank you" mailings. Volunteers are key to the success of any program. Your community's needs and the design of your program will determine what kinds of volunteers you require. Volunteers can do everything from answering the phone, to helping people trap cats, to vaccinations, and scheduling people for clinics. One animal welfare organization has teams of volunteers organized in various neighborhoods. The group refers calls from the public to volunteers in their neighborhood who can help with different parts of the job: teaching people how to trap, lending traps, transporting cats to the clinic, and holding the cats for post-surgery recovery. Don't be afraid to start small. Even a few people can accomplish great things, and the more people you help, the more people will want to help you in return. Hold a meeting to discuss your feral cat program. Invite caregivers, put up flyers in veterinary offices, and post an announcement on your website. Give people an update, ask for input on your program, and ask for volunteers. Provide incentives and assistance. Perhaps volunteers can be eligible for discounted or subsidized veterinary services, free cat food, or long-term trap loans. Be flexible. Ask people to volunteer for one small job rather than making a big commitment. For example, maybe one person can sign up to occasionally help someone trap, while another can return phone calls once a month. Someone else may be willing to feed a feral cat colony one day a week or while a regular caregiver is on vacation. Recruit people you or other volunteers have helped. This works! Keep recruiting more volunteers so people don't become overwhelmed. Listen and respond to volunteer suggestions and ideas. Have a designated contact person for volunteers. Show your appreciation through small luncheons, annual parties, "thank you" mailings, and recognition in your newsletter. The core element of a feral cat program is low-cost or free spay/neuter. It is the most significant way to help feral cats and the most effective place to allocate resources. Studies have shown that the primary barriers to spay/neuter are cost and lack of access to services, and these factors are particularly important for feral cat caregivers. While it takes high-volume spay/neuter to impact the feral cat population, even one free or subsidized spay/neuter surgery once a month is a start. Not only will it prevent one or more litters from being born, it can be the beginning of a relationship between your organization and feral cat caregivers. Most feral cat spay/neuter programs either notch or tip each cat's ear to show that the cat has been altered. Depending on your resources and needs, a spay/neuter program can also include routine medical care, more complex medical care, and/or vaccinations. Because FeLV and FIV testing is costly - financially and emotionally - and because the incidence of these diseases in the feral cat population is no higher than in pet cats, many organizations opt not to test and to put the money saved into spay/neuter instead. Low- or full-cost vouchers can be purchased from local veterinarians and distributed to cat caregivers. Meet with local veterinarians and request their assistance and participation. If they are not familiar with handling feral cats, put them in touch with veterinarians experienced in this area. High-volume monthly clinics, run by volunteers. Under this model, developed by the San Diego Feral Cat Coalition, lay and veterinary volunteers handle over 100 feral cats one weekend a month at a different veterinary office borrowed for the day. All supplies are provided by the organization. Operation Catnip, an organization in Gainesville, Florida, also uses this method. Both organizations offer detailed manuals on how to set up and run such a clinic. Veterinary schools. Find out if students and faculty can provide spay/neuter services. An in-house clinic with a staff or contract veterinarian to handle surgeries. Humane traps make the job of catching and transporting feral cats possible. And access to free trap rentals can exponentially improve a caregiver's spay/neuter efforts. For example, with free spay/neuter and humane traps, one caregiver had over 130 feral cats altered in one year! If loaning out traps is too labor-intensive for your group, put traps into the hands of a few dedicated volunteers and ask them to serve as contact people for humane traps, loaning them out and keeping them in use. Some trap distributors/manufacturers give discounts to humane organizations. ACES (800-338-2237) and Tomahawk (800-272-8727) are two companies who sell humane traps. Ask local hardware stores and pet supply stores to donate a trap (or traps) to your organization. Offer to display the store's name on the trap as a "thank you." Ask your members to donate traps or money for traps. Free cat food can be a great help to colony caregivers and an incentive to attract volunteer participation. Plus, money saved on food is money a caregiver can use for spay/neuter or medical care for the cats. Hold cat food drives - ask your members to donate to the feral cat cause. Approach local pet supply stores and ask if you can set up a bin for customers to donate cat food purchased at the store. Ask grocery stores, pet supply companies, and pet food manufacturers for donations. One group was able to get ten pallets of pet food donated by a distributor. All the group had to do was supply a truck to pick it up. Check with your local community food bank. If they receive more pet food donations than they need, they may be willing to share the extra with your organization. Teaching more people how to help feral cats dramatically expands your efforts. As tempting as it can be to do it all yourself, you can't. Educating people empowers them to go out and help cats on their own. In turn, these people become teachers themselves, and perhaps even dedicated volunteers! Offer classes on feral cat issues. Sample topics include humane trapping, socializing feral kittens, and medical issues. Ask experienced caregivers to lead the classes and provide them with space. Advertise by telephone tree, flyers in local veterinary offices, and free announcements in newspaper calendar sections. In February 2001, The San Francisco SPCA released a comprehensive feral cat video series. You can play the videos for groups of people or loan them out to caregivers. Save staff time by setting up a voicemail line to answer frequently asked questions. Topics could include guidelines for your program, instructions on how to use a humane trap, and what to do if you find kittens. Voicemail is relatively inexpensive and there are even free voicemail providers. If you can't return calls the same day, be sure to let people know in your outgoing message. Create fact sheets on various aspects of feral cat care. Send them out and post them on your website. Instead of writing your own, you may also be able to get permission to use another organization's fact sheets. See Resources section. Share any educational materials you develop with veterinarians in the community. Some feral cat programs include an adoption component, some do not. It depends on what is right for you and your community. The critical period for socializing feral cats is within the first few weeks of life. Older cats can sometimes be tamed, but it will take longer - sometimes many months. If time, energy and resources are limited, consider whether they are better spent on spay/neuter. Remember, it is o.k. for a cat to be feral! 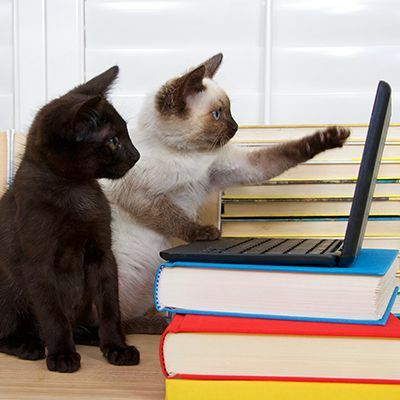 Offer classes and handouts on how to care for newborns and how to socialize kittens. Provide kitten formula, bottles, and instructions on caring for neo-natal kittens. The more pre-adoption work that is done in a volunteer home, the better. Start a volunteer foster program for feral kittens. Recruit foster parents through volunteer orientations, company newsletters, and flyers hung in pet supply stores and veterinary offices. Lend out large dog crates and cages so that people can socialize kittens in their homes. Whether you are fighting legislation that will harm feral cats, helping caregivers resolve disputes with neighbors, or convincing a government agency to support a TNR program in your community, advocacy can save lives. Create written materials for caregivers to use in promoting TNR and resolving neighbor disputes. Develop a mailing list of people interested in cat issues. Track and respond to legislation, testify at public hearings, and write letters to the editor on feral cat issues. Set up a phone tree to alert people about public hearings. In many communities, neighbor disputes over animal issues are referred to mediation. If your community has a mediation service, offer to educate mediators on feral cat issues. Trap, Neuter, Return (TNR) vs. Trap and Kill. Because most feral cats are not candidates for adoption, trapping them and taking them to an animal shelter usually means the cats will be destroyed. In addition, removing cats en masse from a habitat allows more cats-probably unneutered - to move back into the colony habitat, starting the cycle of breeding all over again. TNR, on the other hand, humanely - and effectively - reduces the feral cat population. Predation. Although some groups blame cats for a decline in bird and wildlife populations, these claims are incorrect. Numerous studies have shown that the true causes of population declines are factors such as habitat loss, pollution, hunting, and drought. Legislation. Some legislation, even if it appears helpful, can actually have negative consequences for feral cats. Pet limit laws, anti-feeding ordinances, feral cat ownership laws, cat colony registration, mandatory spay/neuter, cat confinement laws, and "nuisance" laws can, and have been, used to target feral cats and their caregivers. Some groups describe feral cats as having "short, miserable lives." But portraying them as miserable creatures in constant suffering leads to the conclusion that feral cats should be euthanized rather than being altered and allowed to live out their lives (which are frequently long and healthy). Many animals - wild and domestic - do not lead very long lives, yet we would never advocate killing them for their own good. Do two cats = 500,000 in just a few years? Experience tells us this cannot be so. If it were, our streets would be literally teeming with cats. Environmental carrying capacity, mortality, and other factors keep this type of population explosion in check. Unfortunately, this exaggerated claim provides fuel for those advocating against feral cat colonies and their caregivers. Feeders vs. caregivers. Don't condemn or exclude "feeders" - people who feed feral cats but do not participate in spay/neuter efforts. Everyone who helps animals has a role in the community, and many loving, responsible pet owners started out by feeding a backyard stray. Work to draw more people into the circle of compassion and to help people become more effective guardians and caregivers. Leslie Wilson was the team leader in planning, developing and implementing the nation's first comprehensive feral cat assistance program in 1991 at The San Francisco SPCA. Leslie is currently a special projects consultant for several humane organizations in northern and southern California.